I got this book from a charity shop. I read it. I loved it. I learned. Now I’ve read it about 10 times, I stll find it hilarious. However, I DO NOT agree that rats are filthy and hideous and all of that nonsense because they are the cleanest (Drawing with cats) and one of the most intelligent animals in the world! 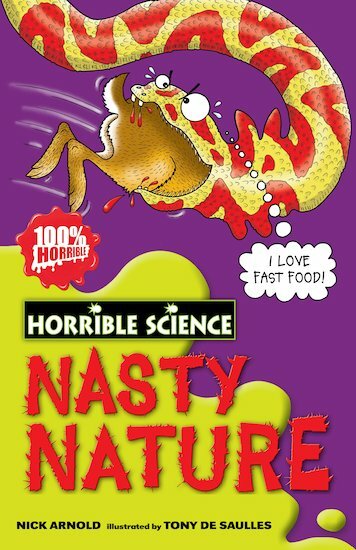 Nick Arnold has been writing for Scholastic for ten years, clocking up over 20 titles in the HORRIBLE SCIENCE series. Nick lives in Devon. Nick Arnold has won three Aventis Science Prizes for the Horrible Science series, for Blood, Bones and Body Bits, Ugly Bugs and Really Rotten Experiments, and won the 2013 Best Book with Facts at the Blue Peter Book Awards. Tony De Saulles trained in graphic design, but since illustrating the Horrible Science series, has been concentrating on his illustrative style. Tony lives in Cheltenham.